This month, the first cohort of MSc System Leadership and Innovation (SLI) students graduate from IHPME. A unique program and the only one of its kind in Canada, the MSc SLI provides an opportunity for emerging physicians, residents and fellows to learn to become innovative leaders in today’s health system. “SLI is a program that helps those who are passionate about the health system learn to apply meaningful ways of not only seeking disruptive innovation, but also creating implementable projects that can grow in scale,” said Abi Sriharan, the current program director. Having grown from the LEAD program first initiated by IHPME’s Geoffrey Anderson, the MSc SLI addresses the gaps in leadership training within the medical field and the appetite amongst medical students to develop these skills. The program is designed to accommodate a physician in training’s work load, and the flexibility of the programs also offers students the opportunity to take part in two mandatory practicums, though many students, like Ali Damji and Maryam Alomair, end up doing far more. “The practicums are like mini consulting projects that in the end provide real deliverables,” said Damji, who is also a family doctor in training. Damji completed four practicums, one at Sick Kids Hospital where he worked with a quality improvement team to expedite access to diagnostic imaging for patients, and another at Health Quality Ontario, where he worked closely with CEO Dr. Joshua Tepper on policies for patient complaints that have helped inform the office of the Patient Ombudsman. 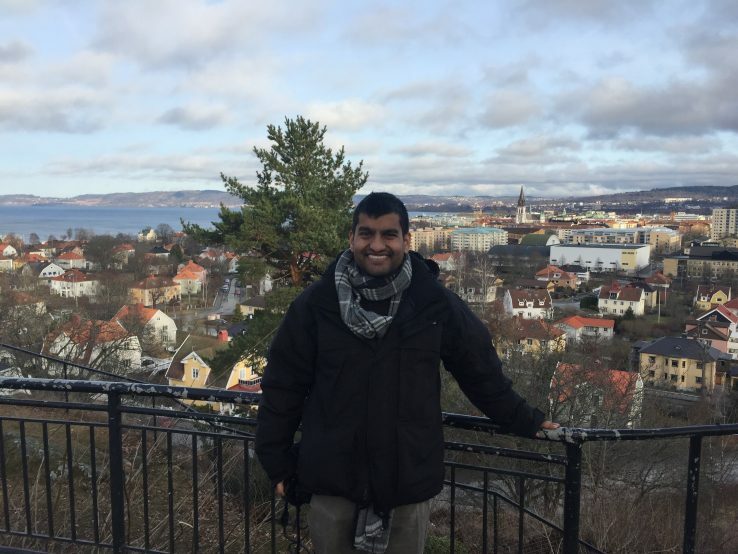 One of his most memorable practicums took place in Jönköping Sweden, where for seven weeks, Damji was able to network with quality improvement leaders around the world to see first-hand the Swedish health care system in operation and work as a clinician. “These practicums have positioned me to take on opportunities in my career as both a clinician and leader, and I’ve been given a diverse set of skills and tools, such as consulting, policy work, negotiation, and an understanding about global health, that make me adaptable to the changes taking place in health care,” said Damji. The program’s focus on leadership and innovation is also what drew cardiac surgeon and Saudi resident Maryam Alomair to consider the MSc SLI while completing her surgical training at the University of Toronto. She was eager to take on practicums that reflected each aspect of the program, one focused on innovation had her working with biomedical engineers on a 3D model of heart disease where she could study the hemodynamic effect. The other, focused on leadership, was geared towards her eventual return home and her passion for leading change in her career. “When I return to Saudi Arabia, I will be one of the first female trained cardiac surgeons, and as I anticipate some challenges, I wanted to ensure I had strengthened my leadership skills and ability to advocate for women in leadership,” said Alomair. As part of her practicum, Alomair undertook a review of female surgeons in leadership roles within Ontario hospitals, wanting to understand the challenges they faced as they navigated their career. She was surprised to learn that there was still gender bias here in Canada, but was given recommendations on how these issues could be addressed. “Once back home, I’m hoping to create a small community within the hospital I work in, meet with female physicians and exchange our experiences to empower each other,” said Alomair. “This program has opened my mind to not only the cost-saving measures and statistics that physician and surgical leaders need to be aware of, but also to the emotional intelligence required to engage with people as a real leader,” said Alomair. Following the successful graduation of this first cohort of MSc SLI students, the curriculum will continue to meet the needs of a new generation of learners.